Relaxing with fresh soothing aromas. Once a wild plant to be found in mountains, lavender has now been domesticated. The image of lavender fields in the landscapes of Provence has become one of the symbols of this lovely French region. The species most often grown is Lavandin, or spike lavender. 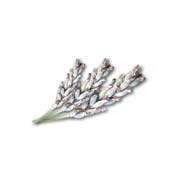 The outstanding curative properties of lavender are the basis of modern aromatherapy. LAIT DE BALNEO by CAMYLLE is now recognised as a leading product by balneotherapy professionals. 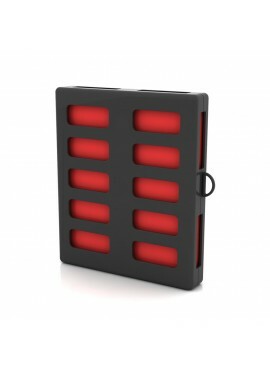 The product is now regularly used in the best-known balneotherapy and spa treatment centres and in hotel spas. Made using a revolutionary essential oil emulsion process, it concentrates all the force of nature and the curative power of plant essential oils in a creamy, silky, non-foaming product. LAIT DE BALNEO is totally soluble in water, thus allowing the plant molecules to act on all the submerged parts of the body under the beneficial action of the hydrotherapy bath. With its high concentration of essential oils, it will turn your bath into a real well-being treatment. A water massage bath is a wonderfully relaxing experience combining all the pleasures of water, warmth, moist steam and air bubbles massaging and caressing your body. In every century and every culture, it has always been a supreme luxury to bathe in natural plant extracts. In the past, though, these pleasures were enjoyed only by kings and queens. Fortunately, things are different today, and anyone can now take a break from the frightening pace of daily life and enjoy the relaxing, reviving benefits of a massage bath enhanced with plant essences. Just let yourself be taken over by all these delightful sensations, and let the essential oil molecules take you off on a journey through the plants of the world. 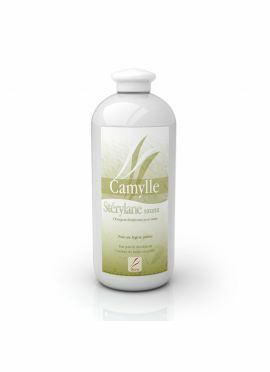 CAMYLLE LAIT DE BALNEO will give you an incomparable feeling of well-being and fulfilment. Dilute LAIT DE BALNEO in the hydrotherapy tub on the basis of approximately 10 to 20 ml (1 to 2 stoppers) for a 120 l bath. Does not cause deposits and does not block the jets in your bath. 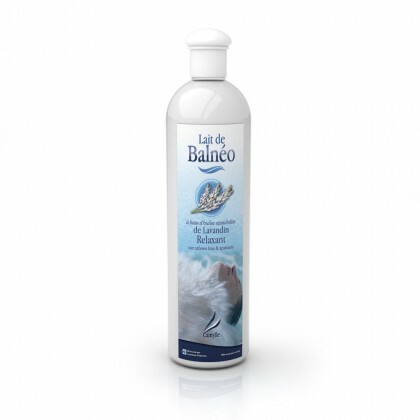 Shake before use.LAIT DE BALNEO is recognized and approved by the most famous brands of Balnéo bath-tubs. You will also find the range LAIT DE BALNEO at many distributers: GRANDFORM - KINEDO - MASSOR - STAS DOYER – TES - UNBESCHEIDEN etc… LAIT DE BALNEO is also used for foot spa and bubble massaging mat.